The Lawrence Avenue Streetscape is on schedule. Asphalt and concrete work on the north side of the street from Damen to Western is complete; installation of the pavers, and light fixtures will follow. Sidewalk work is continuing on the south side of the street and is on schedule to be completed this November. 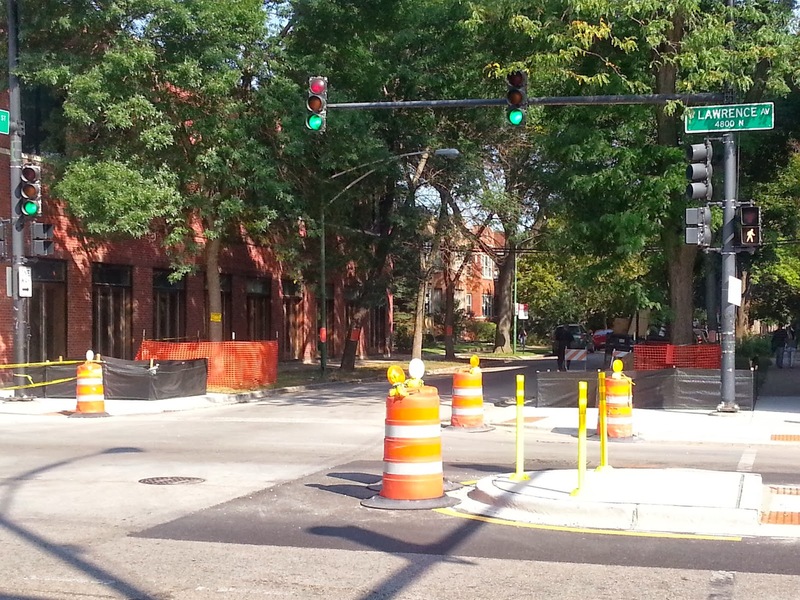 Rain gardens, trees, and other landscaping and some roadway marking details will be completed in the spring as they begin the hardscape between Damen and Clark. Metra is ongoing; the West side of the station will be complete by April . The east side (in-bound) will remain on the north side of Lawrence until the end of the project; likely in the end of 2015.